Classy and appealing, this yellow coloured saree from Fabroop will certainly make you look elegant at any occasion. 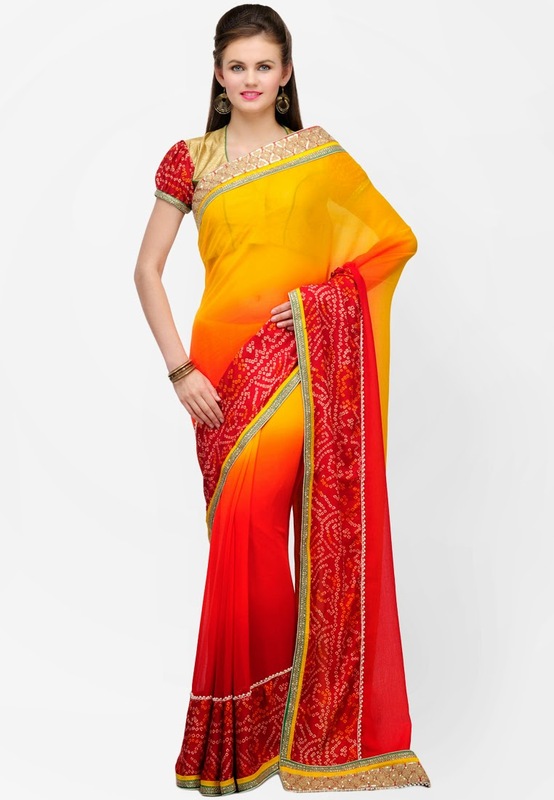 This saree features a pretty design and is very comfortable to carry all day long. Made from chiffon, this 5.5 m saree is light in weight and a fine quality product to invest in. It comes with a 0.80 m matching blouse piece.